Our Nation embarks on this Fourth Session of the Ninth Parliament with unity of purpose, a heightened sense of economic progress and renewed hope. My Government recommits itself to the time - honoured principles of democracy, social justice and the rule of law. In respect of the construction of the new Parliament building, my Government has now entered the negotiations phase for award of contract. Construction is projected to take 20-24 months. We all look forward to the construction of Parliament - the seat of our democracy, in the shortest possible time. My Government reaffirms its commitment to constitutional reform. Having endorsed the additional recommendations of the independent Constitutional Advisory Committee, my Government recently received draft Constitution Reform Bills. Prime Minister, Fixed Date of Elections and the Appointment of a Leader of the Opposition; Election and Tenure of Governor General; Rights and Freedoms and Establishment of an Elections and Boundaries Commission. Very soon, my Government will table these Bills in Parliament. It is anticipated that the citizens of our Nation will be called upon to vote on these constitutional reforms in the first half of 2016. Consequently, the public education campaign will soon resume with the aim of helping citizens understand the matters on which they will be asked to vote at the time of the referendum. I urge all citizens to fully embrace this opportunity. The Integrity Commission continues to receive declarations. To date, it has already received 464 declarations. Very soon, it will extend an invitation for declarations from statutory bodies. During the inaugural conference of Commonwealth Caribbean Integrity Commissions and Anti-Corruption Bodies hosted by Grenada in June of this year, an Association was formed. The honour to chair this Association has been conferred on Grenada. The Office of the Ombudsman is expanding its work, as evidenced by the recent visit to the sister isle of Carriacou. The top priorities of my Government for this Session of Parliament will be the following: rebuilding our economy and creating jobs, investing in our people, and strengthening national unity. Our Homegrown Programme of Fiscal Adjustment and Reforms is now well advanced, reflecting the great progress we have made in this area. According to the most recent reports of the International Monetary Fund and other partners, the fiscal situation is improving, growth has resumed and employment is on the rise. Indeed, the economy is growing faster than originally projected. The restructuring of the public debt, a key element of the Homegrown Programme, is now underway, and a successful conclusion of the commercial debt restructuring is expected in the next few weeks. Given our many and varied sacrifices as a Nation, it is heartening to note that our collective efforts are bearing fruit and that we have made significant strides of which we can be justifiably proud. My Government wishes to express its gratitude to key development partners including the International Monetary Fund, World Bank Group, Caribbean Development Bank, Eastern Caribbean Central Bank, European Union, Canada and the United Kingdom, among others. My Government also wishes to thank the Homegrown Programme Monitoring Committee, established by the Committee of Social Partners, which has met every month since July 2014, to assess progress and offer suggestions. While resolute in the implementation of the Programme, my Government has demonstrated its willingness to listen and make adjustments without compromising the overall aims and targets of the Programme. Mindful of the calls made, in particular by the Social Partners, to ensure that the gains of the Homegrown Programme are protected and sustained, my Government is pleased to have brought Fiscal Responsibility legislation to Parliament. 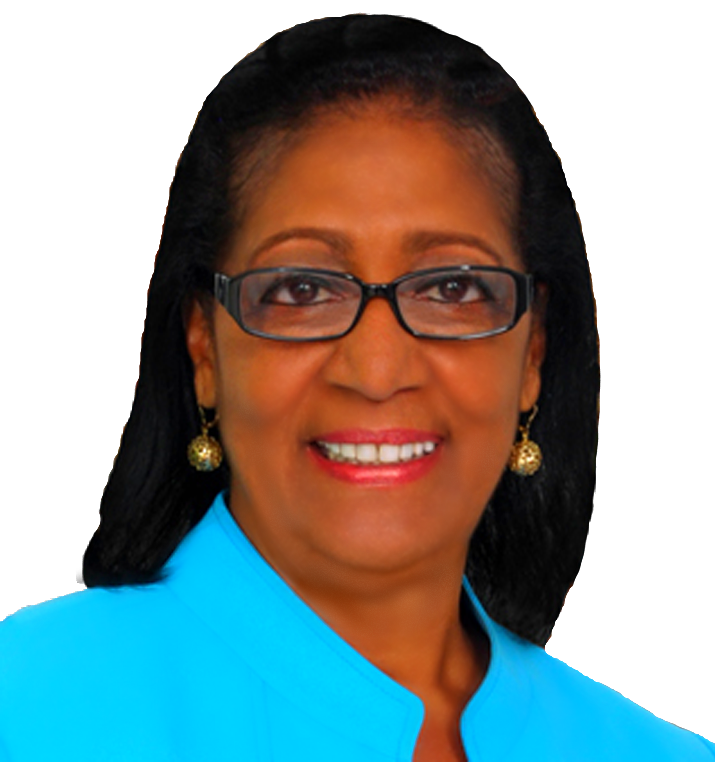 Caribbean, constrains Government to fiscal prudence or, simply put, living within its means. Notwithstanding the progress of the past 22 months, the job is not yet done. Consequently, our Nation must keep the faith and finish the course. Consistent with this imperative, my Government will present the 2016 Budget in late November. My Government is committed to forging ahead with key structural reforms. After months of consultation, a revised Electricity Supply Bill is being finalized for consideration by Parliament. This Bill when passed, together with accompanying regulations, will usher in a new era of governance and performance for the supply of electricity. Our main objectives are lower costs and a smaller carbon footprint through the use of more renewables in our energy mix. Our overall goal is higher growth, faster job creation and sustainable development. As an example of my Government’s commitment to a smaller carbon footprint, Government is collaborating with GRENLEC to pilot the use of electric cars in Grenada. This development is testament to Government’s willingness to work with all investors in the best interests of Grenada. A collaborative effort is also being pursued for greater use of solar photovoltaic technology in our streetlights. As part of our thrust to improve Grenada’s business climate and ease of doing business ranking, my Government will soon introduce a Bankruptcy and Insolvency Bill in Parliament. In pursuit of faster job creation, my Government will further expand its support for small business development through the Grenada Development Bank and the Small Business Development Centre of the Grenada Industrial Development Corporation. Physical Planning will intensify its focus on the legal protection of national heritage assets, including the designation of historical sites as Heritage Conservation Areas and National Heritage Monuments. Eight (8) sites have been identified for such designation in the coming months. My Government is cognizant of its responsibility to regulate the construction industry. In this regard, the Physical Planning Unit will continue work on updating building codes, guidelines and standards. Furthermore, it will act expeditiously to minimise illegal construction. In respect of sustainable development, my Government will adopt a National Coastal Zone Management Policy and a National Land Use Policy. Sustainable Development Plan 2030. The Plan is intended to reflect the dreams, aspirations and hopes of all Grenadians (home and abroad), especially our youth. It will take into account global mandates, such as the Sustainable Development Goals adopted by the United Nations last month. Above all, it will be designed by Grenadians for Grenadians. The likely benefits include a clear sense of direction, faster development and employment creation, preservation of our heritage and environment, a heightened sense of spirituality and citizens who are equipped to navigate our novel globalized world. Special care has to be taken to involve the main political parties and all social partners from the outset, while endeavouring to elevate our dialogue above narrow partisan politics and interests. This is a unique moment in the history of our soon to be 42 yearold Nation and we must all make a positive contribution to this noble endeavor. I therefore call on all citizens to get onboard. The events of October 1983 mark a very dark and painful period in our Nation’s history. These events, though painful, must never be forgotten. Indeed, they must be appropriately commemorated, lest we forget. It has been observed that for many, especially our youth, the October 25 public holiday is merely an opportunity for fun and frolic. This lack of awareness of our own history is a cause for concern and dishonours the memory of our fallen brothers and sisters. In this regard, the Committee of Social Partners has proposed that the week of October 19-25 be designated a Week of Remembrance and organized to better reflect the solemnity of this tragic period, the spectrum of views across our Nation and the important lessons learned. As a consequence, a subcommittee of the Social Partners, led by the Conference of Churches, will propose ways and means for the observance of this Week starting next year. Persons with views on this matter should let their voices be heard. My Government is very mindful of the critical role played by the Public Service as we move forward in rebuilding our economy. The ability of Government to attain its goals of human development, growth and competitiveness, employment creation, fiscal and debt sustainability depends in no small measure on the quality and operations of the Public Service. Of necessity, there ought to be a greater focus on results (not activities). Cognisant of this imperative, my Government is placing greater emphasis on strengthening results-based management among Cabinet and Senior Managers respectively. Indeed, the key focus of the Cabinet Office in 2016 will be strengthening Cabinet systems, including institutional strengthening of the Cabinet Office; Whole-of-Government implementation and reporting; revamping the Performance Management System; and strengthening the function of the Head of the Public Service. As a demonstration of higher levels of accountability, at least three central government entities will publish annual performance reports in 2016. In time, this practice will be expanded to the entire Public Service. My Government is committed to training and development for public officers, at all levels. Moreover, more attention will be paid to mentoring and coaching as we address the urgent issue of succession planning, especially in the senior ranks. To underpin this new thrust, my Government will table a new Public Service Bill in Parliament. Without a doubt, the Pension Disqualification Act of 1983 has had an adverse impact on the Public Service. Quite recently, my Government complied with a court ruling in respect of a public officer on this issue. My Government has signaled its commitment to work with its trade union partners to discuss a fair, feasible and fiscally responsible solution to this longstanding issue. Initial discussions have been held and further discussions are being planned. Ultimately, the plethora of pension laws must be streamlined. My Government is committed to promoting safe and healthy work environments. In this regard, a policy on Occupational Health and Safety has been adopted and legislation on Occupational Health and Safety will soon be tabled in Parliament. My Government will also ratify three (3) International Labour Organisation (ILO) Conventions. These are: Repatriation of Seafarers; Workers Representatives; and Domestic Workers. Following extensive consultations with the Tripartite Committee, facilitated by an international consultant, my Government expects to bring a Revised Labour Code to Parliament in early 2016. My Government is committed to the professional development of both the Customs and Excise Division and the Inland Revenue Division. Having already enacted a new Customs Bill, my Government, in the coming days, will introduce a Tax Administration Bill to strengthen the capacity of Inland Revenue to become a modern tax service. As part of the restructuring of the Inland Revenue Division, a Large and Medium Taxpayers Unit will soon be established. This Unit will better serve taxpayers, leading to greater compliance and increased revenue collection. Once again, my Government applauds the honest and hardworking public officers whose integrity and professionalism are beyond reproach. That said, my Government affirms its determination to promote high ethical standards among all public officers, especially those who operate in revenue collection agencies. My Government has taken the position that, as a general principle, a rotation system for public officers must be implemented. Wherever public services are offered, including Customs, Agriculture and Health, integrity matters. I repeat, integrity matters. My Government has begun to address our Nation’s roads. The maintenance programme will be expanded. Several major projects are already underway to address critical needs and to improve public safety. Work will commence on the reconstruction of the Hubble Bridge in Gouyave. On completion of this bridge, work will commence on the Lance Bridge. In collaboration with the Grenada Ports Authority, work will soon commence on the new jetty in Harvey Vale. Many public buildings are in a state of disrepair. Efforts will be made to address several of these buildings. My Government will continue to use the Special Projects programme to deliver critical community infrastructure. Those projects not only help to improve communities but also provide short –term employment. •Developing and implementing a Livestock policy with special emphasis on poultry, apiculture and small ruminants. The commercialization of the Grand Bras and Bellevue estates has resulted in higher levels of investment and agricultural output. Two additional estates will soon be commercialised. The investor in Bellevue Estate has partnered with Winfresh to overhaul the La Sagesse Processing Plant. As a consequence, agricultural produce from the Bellevue Estate and other local farms will be processed into high value products, such as ice cream and juices, for sale to local, regional and international markets. This new operation exemplifies my Government’s agro-processing strategy to move Grenada’s agricultural sector up the value chain while creating more employment opportunities within our rural communities. If farmers are to enjoy better returns from their land and labour and if our Country is to maximize employment and earnings from Agriculture, the current governance arrangements for commodity boards must be revamped. To this end, my Government will support the introduction of modern legal and regulatory frameworks for all commodity boards. My Government is committed to the effective management of Crown lands and will continue the computerization of land records and enhance revenue generation through the review of lease agreements to ensure optimal utilization of Crown lands. My Government is deeply concerned about the preservation and management of the forest and its resources. The forest is critical to sustain livelihoods, especially in Agriculture and Tourism. Accordingly, forestry management will maintain its focus on reforestation, trail rehabilitation and maintenance; particularly at Grand Etang, Annandale and the Levera National Park. Union. In addition, there will be improvement of infrastructure through the installation of cost-efficient and ozone-friendly refrigeration systems. Furthermore, Grenada will implement a management and control programme for the invasive lion fish and participate in regional efforts to address the intrusion of the Sargassum seaweed. Consistent with my Government’s vision for the New Economy, Grenada will host the Blue Growth International Conference in collaboration with development partners, such as the Food and Agriculture Organisation and the World Bank. Implementation of community projects approved under the Community Climate Change Adaptation Fund will continue. My Government reaffirms its commitment to make Grenada a world class tourism destination. 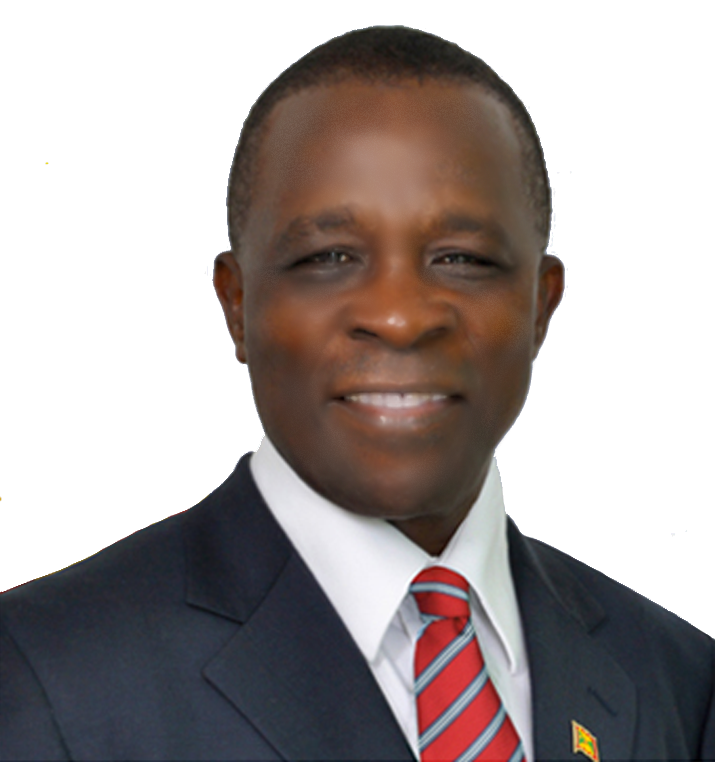 To this end, focus will continue on hotel development, supported by the Citizenship By Investment Programme; marketing, led by the Grenada Tourism Authority; airlift, spearheaded by the Airlift Committee; and upgrading of existing attraction sites and developing new attractions through public-private partnerships. Our visitors are showing greater interest in community tourism experiences. Mindful of this need, my Government will work with communities to develop their tourism offerings and create more employment opportunities. My Government will support a major capital investment programme at the Maurice Bishop International Airport to improve the runway and communication systems, thereby ensuring its continued adherence to international standards. The safety of our citizens and visitors is paramount. Every effort will be made to support the work of the Royal Grenada Police Force, to ensure that its statutory obligation of preventing and detecting crime is maintained, and public confidence in the administration of the law is preserved. In this regard, key priorities will include provision of key tool, community- focused policing, suppressing transnational crimes and enhancing border security. Small island Developing States face an existential threat from climate change. Consequently, Grenada will continue to be at the forefront of global advocacy on this issue. Considerable efforts are underway to tap into various climate funds in order to implement adaptation and mitigation projects in infrastructure, renewable energy and energy efficiency. Key focus will be communities. My Government will also maintain its current focus on Comprehensive Disaster Management, with the goal of enhancing our resilience as a Nation. To this end, the National Disaster Management Agency (NaDMA) will continue to build capacity at all levels, including the national, district and community levels and, at the same time, encourage and support volunteerism. My Government accords great priority to the delivery of quality health care. A major operation is currently underway to repair the dysfunctions and deficiencies of our health care system. This operation requires strong and caring leadership (political and administrative), investment (financial and professional), collaboration and mutual accountability (Government and health care professionals). Within its financial capability, my Government will do its utmost to improve health care services. However, it is very obvious that more investment without better management and accountability by all will not address these challenges. Playing political football with issues of health is not helpful. We need the advice, support and involvement of all. In the past 30 months, many outstanding bills have been paid, basic medications are now in more regular supply, an oxygen plant has been installed, more nurses have been hired and more doctors granted scholarships to specialize. Despite this progress, much work remains to be done. A ten year National Strategic Plan for Health 2016–2025 will soon be approved. This Plan provides a roadmap for the development of the health sector with emphasis on the six building blocks established by the World Health Organization (WHO) to strengthen and improve the health care delivery system. These include Health Service Delivery, Human Resources for Health, Health Information Systems, access to Essential Medicines and Medical Technologies, Financing and Leadership and Governance. Work on the second phase of the General Hospital is progressing well. In this regard, my Government acknowledges, with gratitude, the support of the Bolivarian Republic of Venezuela. My Government is committed to developing and improving health infrastructure and is now at an advanced stage of negotiations with the European Union to provide budgetary support for there-construction of the Gouyave Health Centre. In respect of doctors appointed, my Government expects to have a full complement of doctors in place in 2016. In respect of nurses, additional nurses will be hired and terms and conditions improved. In turn, my Government will expect to see lower levels of absenteeism among the medical and nursing staff. A nursing programme will commence at St. George’s University, leading to an Associate degree in Nursing and ultimately a Bachelor’s degree. Several scholarships will be provided. State, all scholarship recipients will be required to sign a bond/convertible loan agreement. This arrangement will be strictly enforced. As long as persons return and do post-training work, they will not be required to repay the State. Should they choose not to return, the outstanding sum will immediately become payable wherever they choose to work. My Government is committed to help build a creative and productive labour force. Integration of information and communications technology (CT) into service delivery to ensure global competitiveness and increased efficiency. Increased focus on educational opportunities in Technical and Vocational Education and Training (TVET) with relevant certification. Equitable access to quality education for all. Strengthening the capability of teachers and students in literacy and numeracy. Enhanced professionalism and quality in the education sector. Rehabilitation and maintenance of educational institutions. As plans progress to develop a Professional Teaching Service, the process of the regularization of temporary teachers, which has begun, will continue. Mindful of the commitment of “Education for All,” additional attention will be paid to the services available to students with special needs. My Government is very concerned, not only about the high level of unemployment, but also the skills mismatch as it relates to the needs of the job market. This situation will be addressed on several fronts, including revision of the National Training Policy and Priorities, sourcing of scholarships, and programmes of the National Training Agency, T.A. Marryshow Community College and St. George’s University. After being closed for many years, my Government is pleased to note that the Grenada Public Library will be restored with the generous support of the Constantinian Order of St. George. My Government recognises that there can be no sustained national development without youth development. Mindful of this fact, my Government commends the various private sector initiatives in education, sports and culture, aimed at harnessing the talents and energies of our youth. The Imani Programme will continue to be improved to offer training and employment opportunities for our youth. “…the creative economy is not only one of the most rapidly growing sectors of the world economy, but also a highly transformative one in terms of income-generation, job creation and export earnings”. End of quote. My Government believes that the creative sector ought to play an important role in rebuilding the national economy, and looks forward to the inclusion of this idea in the National Plan. In the meantime, the Ministry of Culture will work more closely with the Ministry of Education to support and strengthen performing arts in our schools and communities. In this new era of fiscal prudence, the role and functioning of statutory bodies are greater scrutiny. As part of ensuring cost effective governance arrangements for the development of culture, including Spicemas, Government will commence a review with the ultimate aim of merging the Grenada Cultural Foundation and the Spicemas Corporation. Symposium, my Government will ensure an immediate improvement in the organisation and execution of Spicemas. Key areas of focus include earlier planning, the adoption of an appropriate business model for our premier cultural festival and timely execution of events. In the area of sports, my Government looks forward to the official opening of the Athletics and Football Stadium, made possible through the generous support of the People’s Republic of China. In the next few months, several major events will be held at this premier facility. My Government understands that strong families build strong communities and ultimately, a strong Nation. The Social Safety Net Policy Framework will help to ensure that safety nets are not only maintained but that they are better targeted. After considerable delays, my Government is pleased to note that the Grand Bacolet Youth Rehabilitation and Treatment Centre will open in early 2016. The ultimate aim is to provide young offenders with a second chance to make a positive contribution to their society. My Government will continue to address the considerable housing needs of our citizens. Already, all major housing programmes, including house repair and the Soft Loan Scheme, have been expanded. Having distributed the Phase I homes under the Housing Programme with the People’s Republic of China, work will soon commence on Phase II in six locations across the State, including Dumfries in Carriacou. Uniting the people of Grenada, at home and abroad, remains a high priority of my Government. Together, much has been achieved. Together, more will be achieved as we move forward together. My Government will continue to accord the highest priority to the work of the Committee of Social Partners, which comprises Labour Unions, Private Sector, Civil Society, Churches and Government. Several major initiatives such as the monitoring of the Homegrown Programme, Social Compact, National Plan, and suggestions for improving the Imani Programme, have emerged from this dialogue and partnership. My Government has reaffirmed its major priorities for this Parliament: rebuilding the economy and creating jobs, investing in our people and strengthening national unity. More details will be forthcoming when my Government presents the 2016 Budget in late November. Let us continue to move forward together in a spirit of unity and harmony.